The HP 82 69-ml Magenta DesignJet Ink Cartridge is specifically designed for Designjet and HP Large Format Media to deliver clean, accurate line quality and trouble-free printing. Print internally without worrying about genuine HP ink cartridges. The cartridge is designed for use with the HP DeskJet 500. For shipping to other EU countries visit this page HP 82 69-ml Magenta DesignJet Ink Cartridge (C4912A). Chcete doručit zboží do Česka? 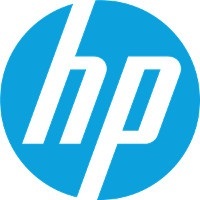 Prohlédněte si HP C4913A č. 82 purpurová. Chcete doručiť tovar na Slovensko? Prezrite si HP C4913A č.82. Für Versand nach Österreich, besuchen Sie bitte HP C4913A Nr. 82. Magyarországra történő kiszállításért tekintse meg ezt a termékoldalt: HP 82 (C4913A).